Your Kid's Coach should help Instill It. Now having gone through the USA Hockey Coaching certification process myself, I've come to further realize that confidence with the puck is a HUGE part of developing not only a successful hockey player but also a successful team. But, aside from the kids that have always displayed more talent and more confidence than the others, pretty much every youth hockey player disappears into the pack at some point. Some even get buried on, ugh, defense. My kid's been victim of it...and his play suffered. The few times he'd acquire the puck, with limited ice time, in any given game, and "banished" to defense, he'd quickly throw it away...usually blindly. If he were beaten cleanly and it resulted in a scoring chance against, he'd be benched. Powerplay or PK time? Yeah, right... Never. At the U10 level, this pretty handily sums up every third line player and nearly every single "reluctant" defenseman. This past off season, rather than play on summer tournament teams, we instead chose enroll in some of the local 4-on-4 and 3-on-3 offerings locally. In these "leagues" (I use the term loosely), the idea is for it to be all offense, all of the time. One of them we skated in even "banned" backwards skating. I know, that sounds counter productive, development-wise, but the idea is that it boosts creativity with the puck and definitely shows the kids how passing lanes work in a low pressure and fun game-like situation. 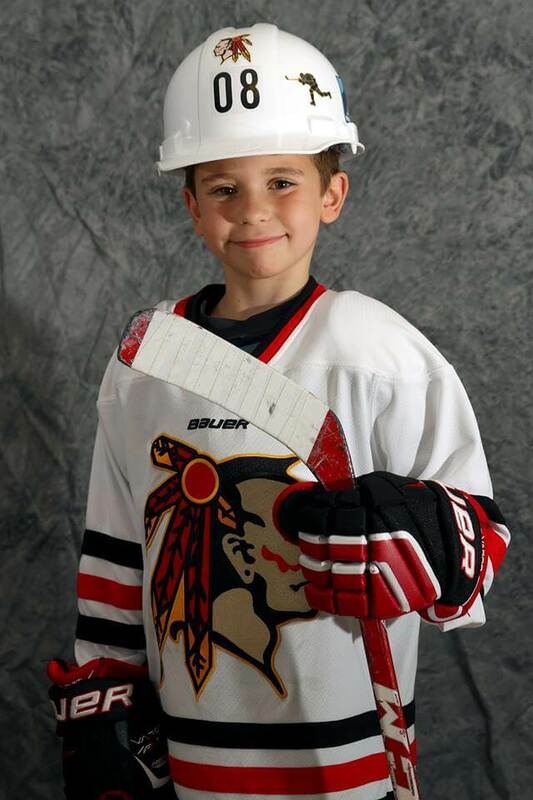 For my son, Duncan, the real benefit was confidence with the puck. Even on defense. Without the fear of coughing up the puck and a resulting consequence of sitting for the rest of the period, he started to carry the puck. He even started to stick handle. He'd join the rush. He might even try to go coast-to-coast. He even had a number of breakaways. And while he wasn't always successful (for the most part, he wasn't), it was a lot better than throwing the puck off the boards blindly hoping (and usually failing) to clear the zone. Best of all, though, I think he surprised himself at how his one or two moves actually worked more often than not. The "star" players of the past, he'd begun to realize, actually weren't that much better than him. They weren't better at all. He was gaining confidence in his own abilities -- skating, positioning, stickhandling, and his shot -- quickly. Fast forward to the first few weeks of the current season and he's come in with a whole new attitude. Still on defense but totally content with that. He learned a lot last season playing defense, even with limited ice time and feeling like his position was a punishment for poor play. Now, he prefers the position partially, I think, because he likes the idea that it makes him "different". Show of hands, how many squirt and mite teams have 12+ forwards and zero defenseman? Ha! He's proud to raise his hand whenever a coach asks who wants to play D.
So we're two games into the new season now and from what I've seen, this new confident version of Duncan almost carries the puck to a fault. Total 180 from a year ago. I mean, he's not a puck hog. He still passes, looks for the open player, and generally makes pretty hard accurate passes but sometimes it feels like he's playing with the puck under pressure a bit to much in his own zone. The fact that he's not coughing it up or unwisely trying to stickhandle through two or three defenders at a time, though, gives me comfort that he'll eventually find the right balance of when it's best to carry the puck, when it'd be a better idea to send it to an open player, or even when the wisest thing to do is just dump it, or even throw in an intentional offside pass to get a whistle. He's not there yet -- the decision making is good...but not great. That'll come with more experience and failure like having someone strip the puck from him in his own zone and hanging his goalie out to dry. It'll happen. 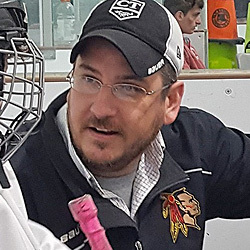 Hockey is a game where proper decision making – knowing when to take risks and knowing when to play it conservatively – is a huge driver of individual and team success. What I do love, though, is that his coach gives the kids the confidence to show what they can do and if they have a wide open lane ahead, green light! Take it and go! Here's an example where Duncan, on defense, collected a puck that the other team had blindly thrown away and fallen just short of icing. Never, ever, would that have happened last season. He had the ability to do it back then, sure, but he didn't have the confidence to do it. I mean, if you really watch it, he only made a single move, a simple move, just one, and it sprung him loose on a breakaway. And it's not just my son that's come out as a whole new player. There are a bunch of them...and our team is a lot better for it. The coaching staff won't take the credit...but they probably should. Did you notice all of the kids on the bench pop to their feet when he crosses the blue line? Did you notice the left wing hang back and cover for him on defense? Did you notice the right wing crash the net for a potential rebound or the center fall back for a drop pass if the scoring opportunity disappeared or the last defender caught up to him? Five players out there that are all confident in each other's abilities totally supporting each other. That's a team. Confidence pulls talent out of players that otherwise seem...well, like they're just skating in circles out there. That's a team firing on all cylinders. Even better...no one's down on themselves when they play defense either.